The Lake Clifton Herron Residents Association obtained funding for and managed the development of a day use area at the historic lime kiln site over a four year period from 2015 through 2018. Thanks must go to President Jenny Rose who was the driving force behind the project and to several other people and organisations who funded and worked to achieve a great outcome which will be a valuable tourist attraction for the area. More information about these very supportive people can be found at the end of this page. The townsite of Lake Clifton was developed as a company town in 1920 as a result of the WA Portland Cement Co. seeking to mine a shell deposit in the lake to produce lime. At this site you will find the remains of the Western Australian Portland Cement Company’s old lime kiln that still stands today as evidence of some of Western Australia’s early history. In 1916 John Henry Johnson obtained a Special Lease from the Crown to extract lime for the purpose of making cement and two years later the WA Portland Cement Company was established. From 1919 to 1921 lime marl (sand, clay and shells) was pumped from the bottom of Lake Clifton through a pipeline into settling ponds, where it was then loaded onto trucks and sent to the cement works at Burswood. Later a railway line was built and officially opened in 1921 to transport the raw material from Lake Clifton to Waroona and then on to the cement works at Burswood. 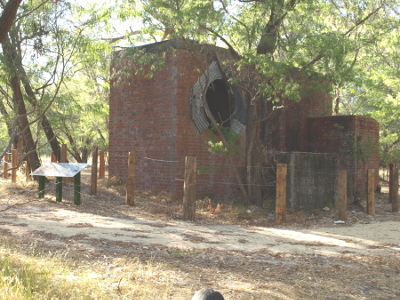 A rotary kiln was constructed in 1922 for the convenience of processing the lime marl at the site prior to transport. It operated for just 2 days and was then closed down as the deeper mined lime marl was found to be inferior quality and unsuitable for cement manufacture. This was a significant setback to Waroona and the Lake Clifton townsite. The townsite declined rapidly following the closure of the Lime Works and never recovered. But in hindsight this proved to be a good outcome. The impact of dredging marl over 100 years ago in this fragile environment is still clearly visible today . The now acknowledged pristine conservation values of the lake system may have suffered irreversible damage if the lime works had proved successful. 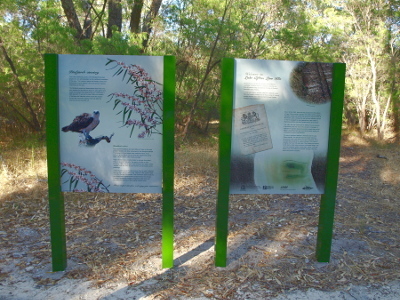 The day use site is in Yalgorup National Park. 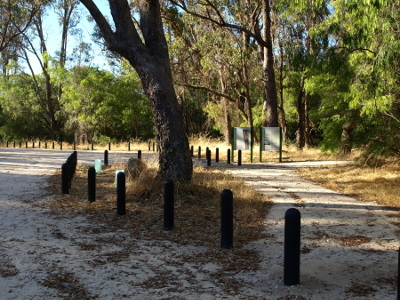 It can be accessed from Newnham Road Lake Clifton. 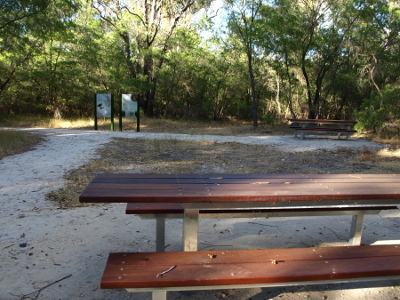 There is a car/bus park, picnic tables and interpretive signage. It is set amongst the trees that have grown in the years since the lime works were abandoned.